The Africa Tech Week is a conference, exhibition and awards for African tech professionals. Digital transformation requires cooperation between companies, government and civil society and Africa Tech Week creates a unique platform for exactly this. Africa Tech Week promotes digital transformation by connecting government, corporates and fresh talent in the tech industry. Interact with the business leaders shaping the way to the future. Topco Media hosts several annual awards ceremonies that showcase industry leaders in performance, empowerment, women leadership, HR, innovation and national development. The conferences that accompany our awards bring together top decision makers, thought leaders to workshop, and stimulate economy-wide advancement in these areas. Our Research Department focuses purely on surveying and researching thousands of organisations in order to identify the economy’s top companies and leaders. 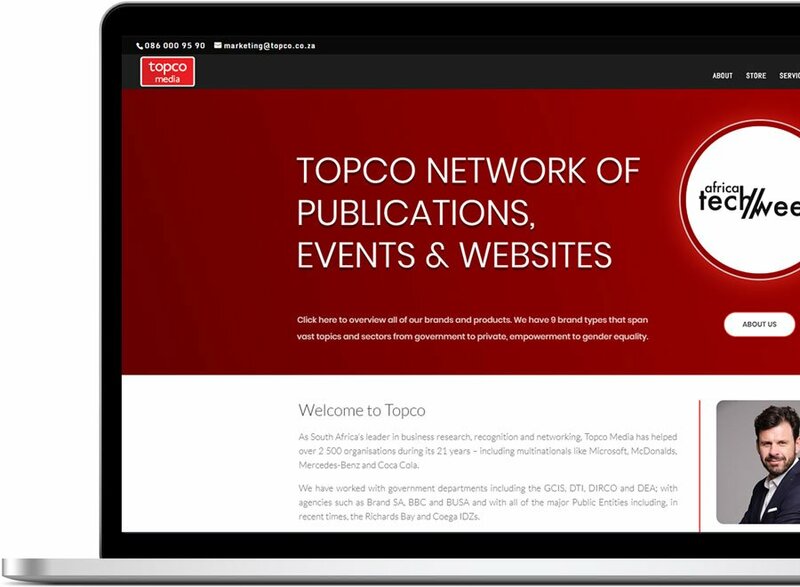 Through its 21 years of research, Topco Media has built up a unique overview of corporate best practice, innovation and success, drawn from submissions by thousands of businesses and business leaders. This research informs our trusted benchmarking of South Africa’s top performing, most empowered and most innovative organisations in every market sector and now we are moving into Africa. Topco Media has the know how to ensure that whatever specific needs you have for Africa Tech Week we will make it happen. Our customer centric focus means that the customer is always our first and most important priority.